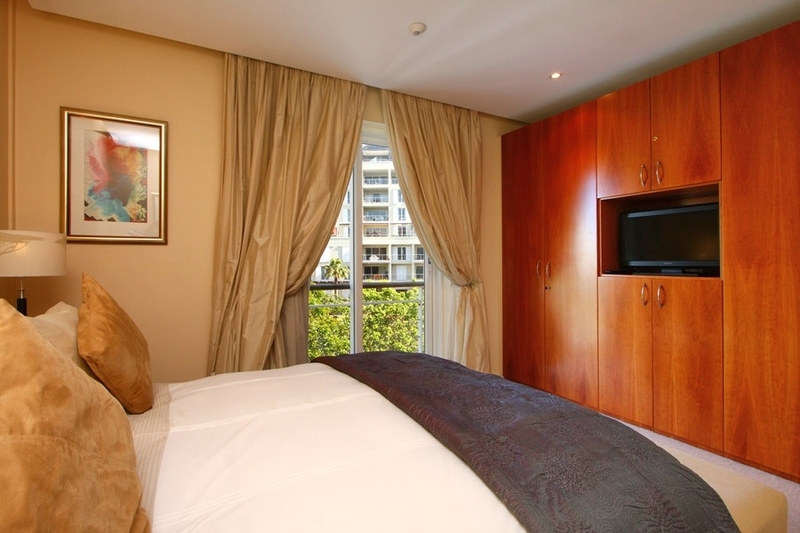 Why stay at PARERGON 203? 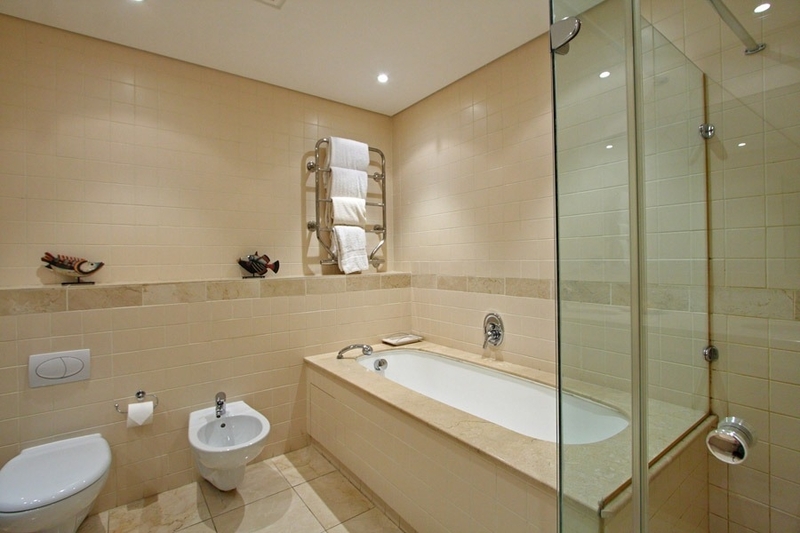 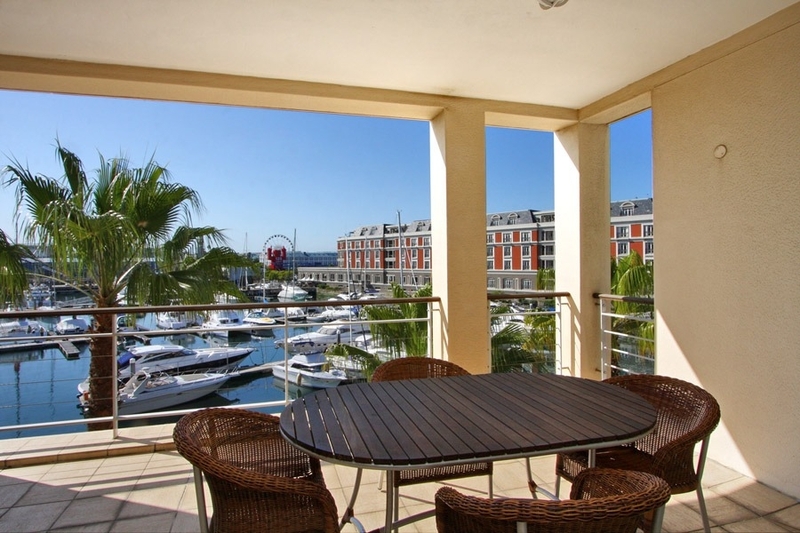 Beautifully positioned in the V&A Marina, this luxury apartment is exquisitely decorated with absolute care and attention to detail. 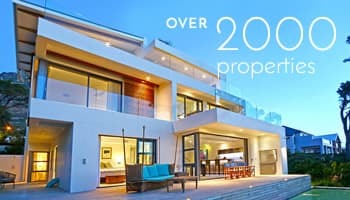 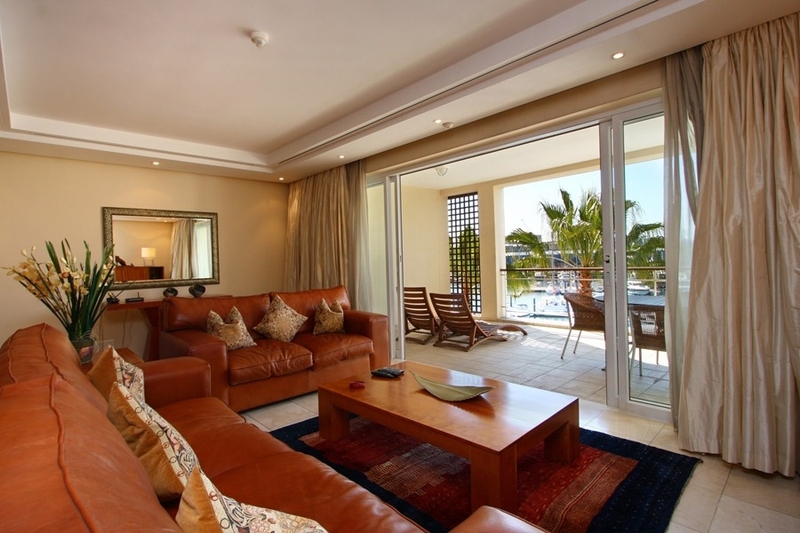 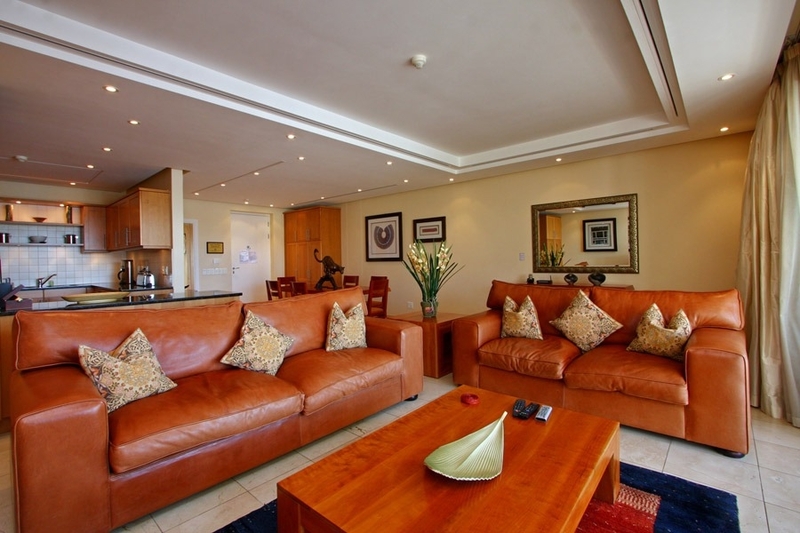 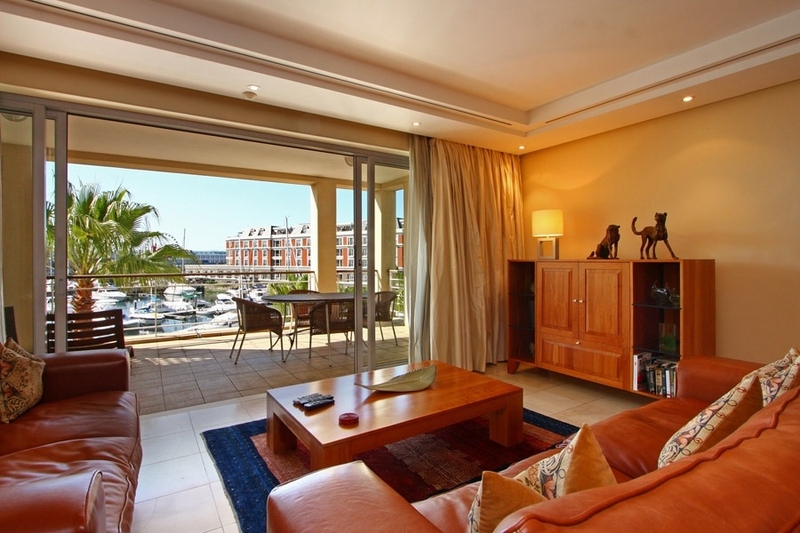 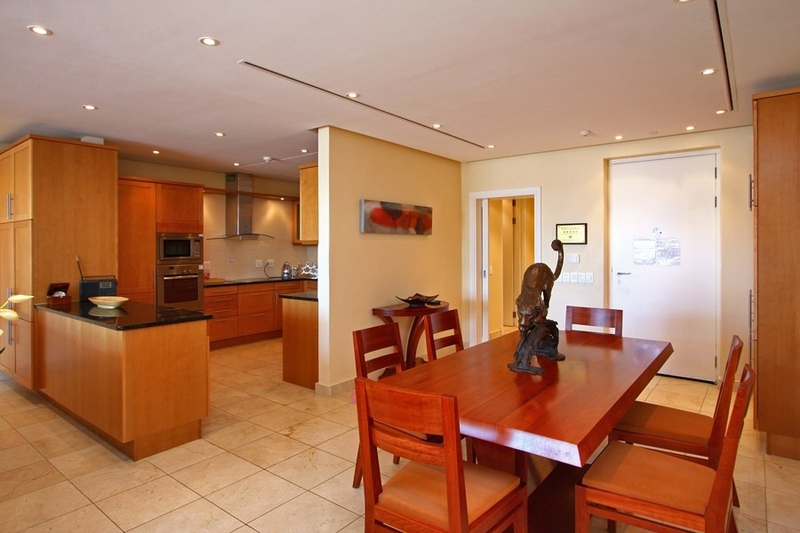 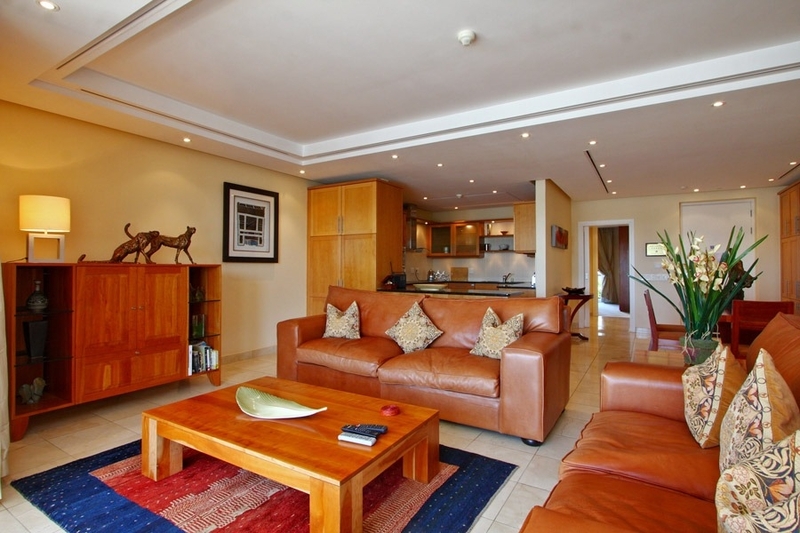 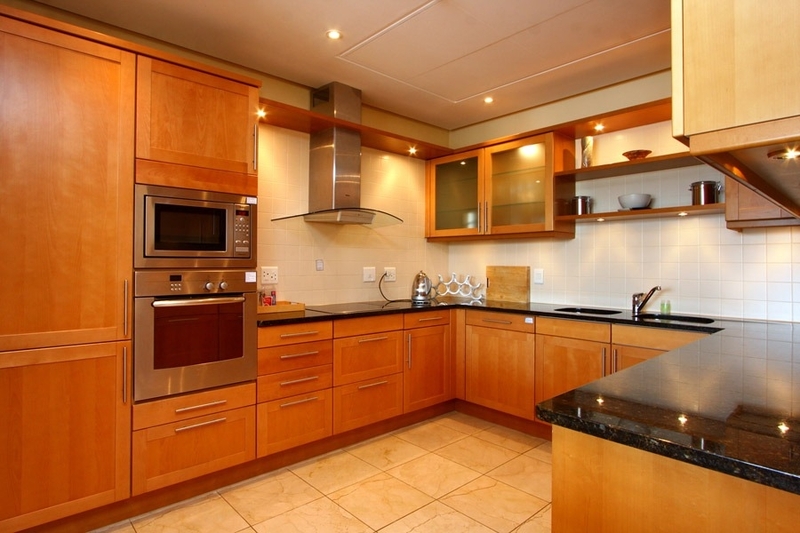 Overlooking the magical and inspirational yacht basin, this apartment has been done out in rich mahogany woods, travertine floors, rich silk curtain, kudu skin leather couches and Pierre Cronje fine furniture. 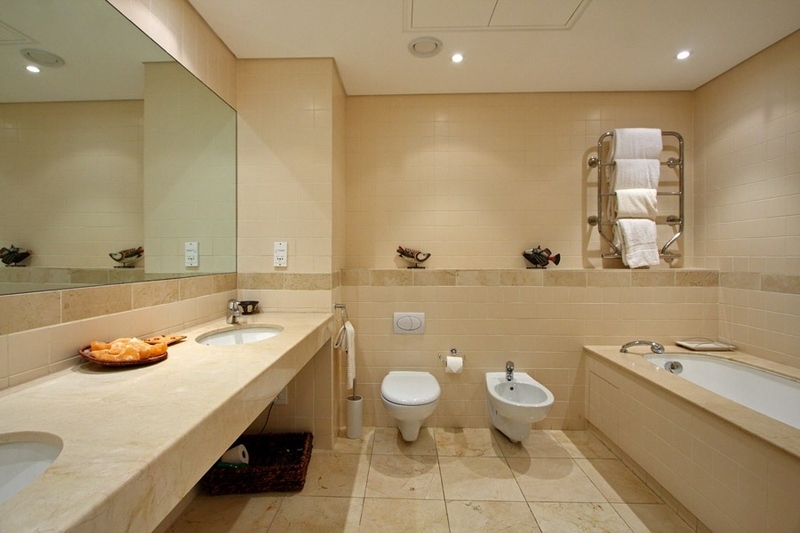 No expense has been spared! 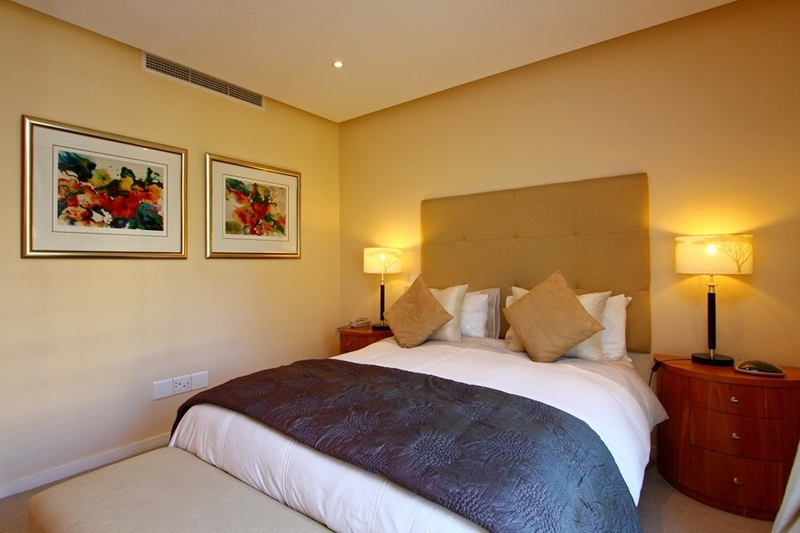 The master bedroom is beautifully appointed, with richly coloured throws and linen that has been carefully selected to suit the rest of the decor. 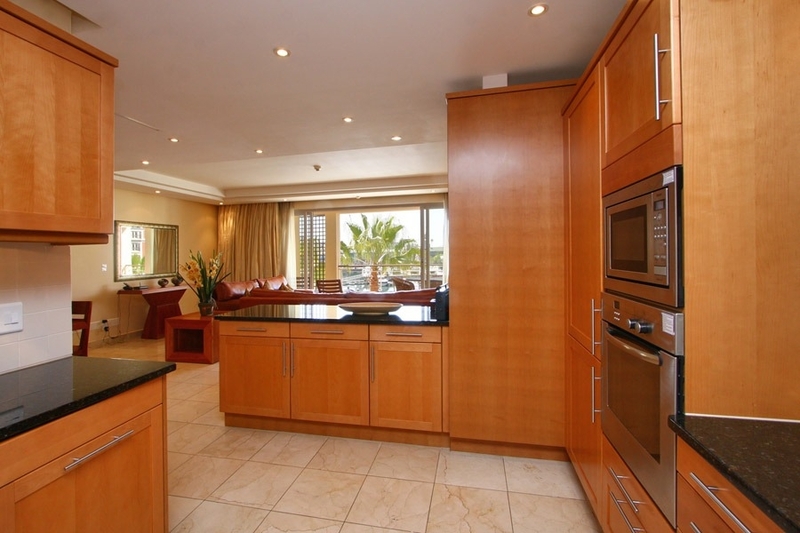 Larger than most one-bedroom apartments, the kitchen opens up to the spacious living area and dining area, which all face out onto the yacht basin, a great place to relax after a stressful day of shopping and sightseeing. 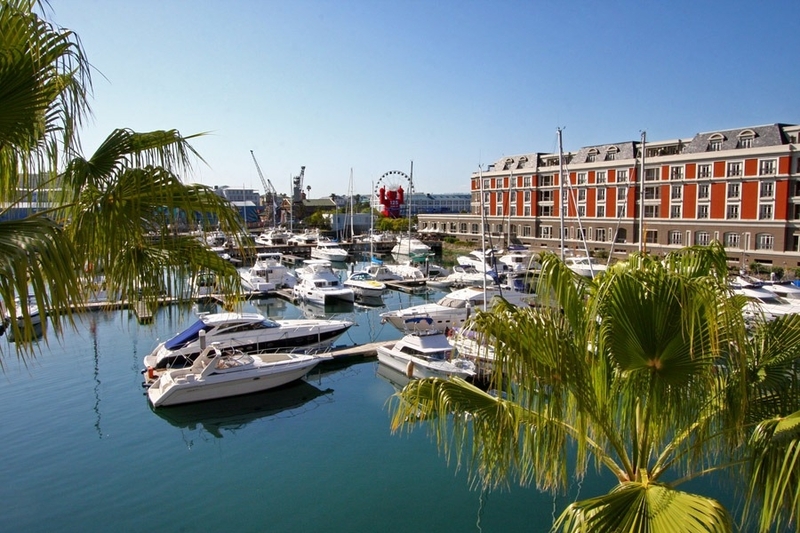 Life in Cape Town centers on the Waterfront - a working harbour, historical site and vibrant social scene. 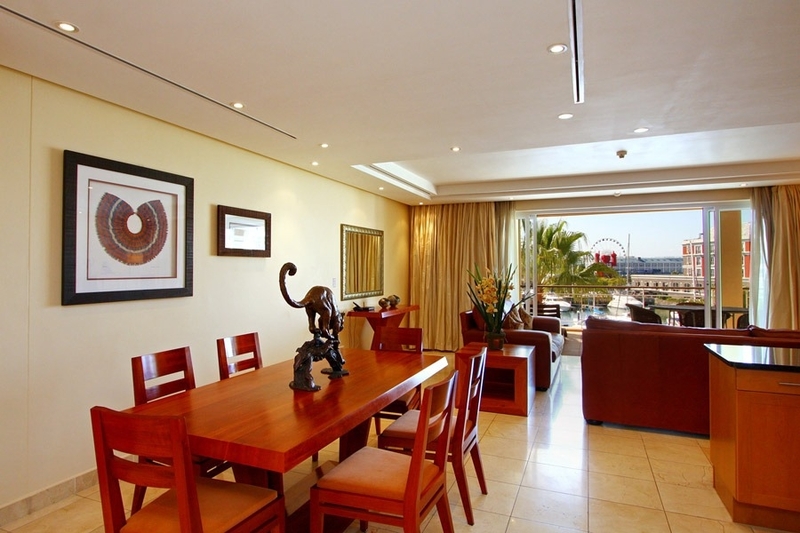 It offers everything from upmarket shopping malls and arts and crafts markets to theatres and live music. 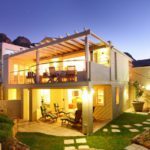 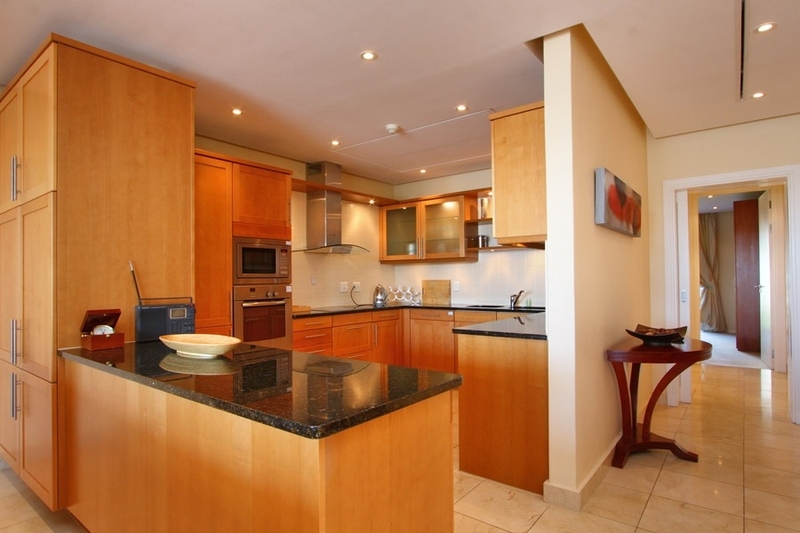 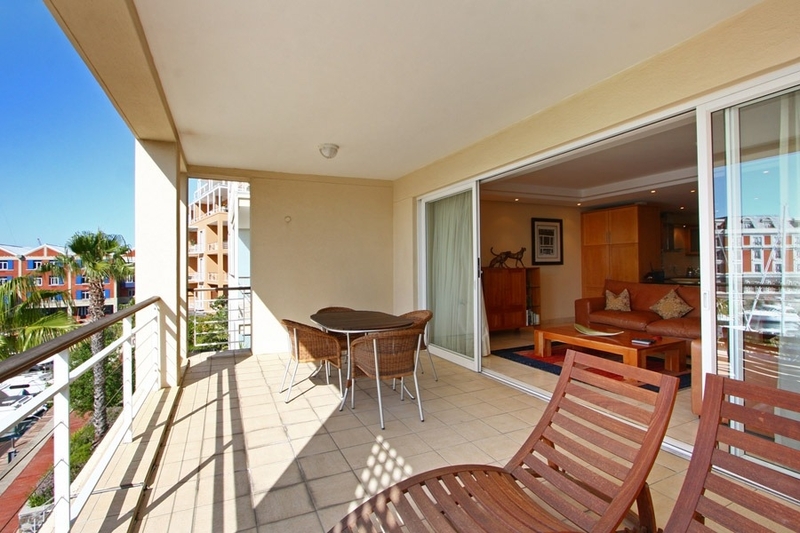 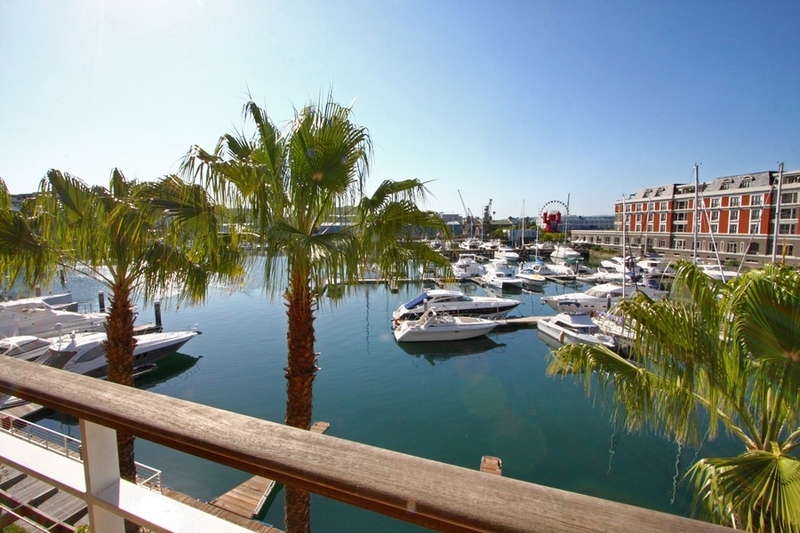 The Marina 's boardwalks and bridges lead to the heart of the Waterfront, making this holiday apartment the perfect base from which to explore Cape Town. 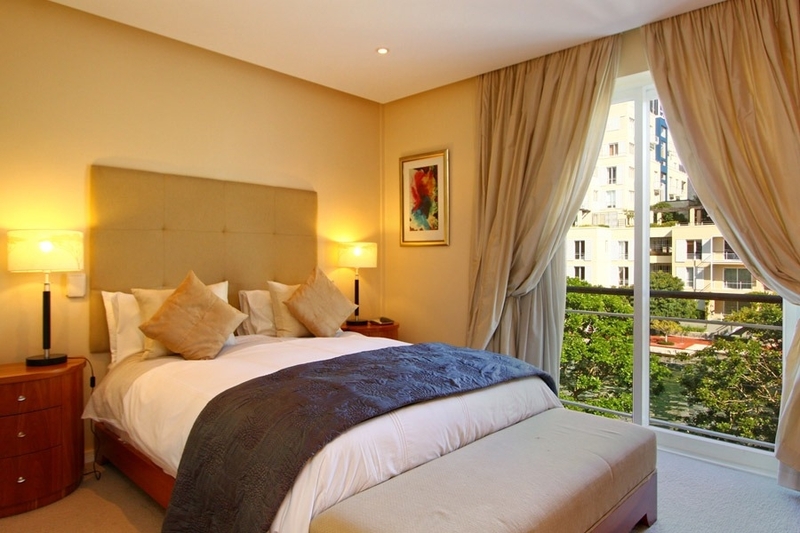 Ready to stay at PARERGON 203?